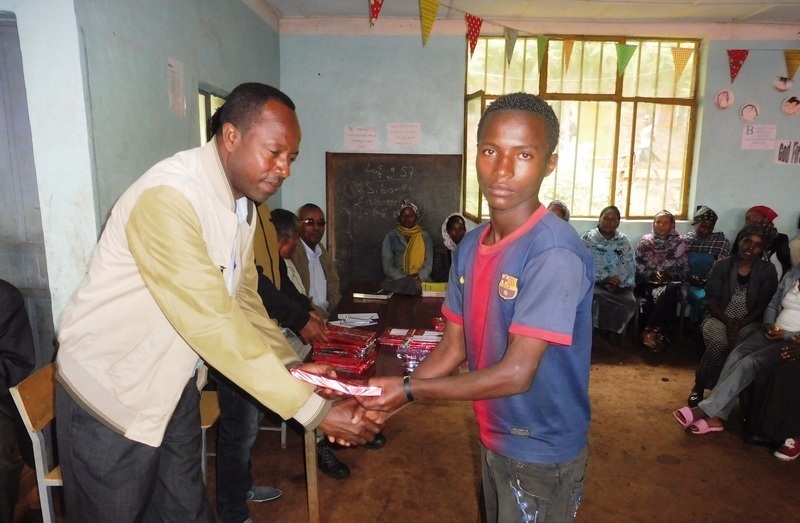 Milkiyas is reaching his potential at our Abdi Academy in Dembi Dollo. Since we met him, walking barefoot and wearing ripped clothes, he’s come so far. After his father passed away, his mother had to work tirelessly to provide the basic necessities for Milkiyas and his siblings. But no matter how hard she worked it was never enough. To lighten his mother’s burden and give him an opportunity of a great life, we gave him a place at our school. When Milkiyas started school we knew that the regular meals, new clothes, shoes and uniform would help him become healthier and grow in confidence and a sense of his self-worth. But we could not have predicted how well he would thrive in his lessons and how his love of learning would grow. Milkiyas is a clever student and fantastic role model for the other children. He received the highest mark in the last academic year in the whole of the school scoring a 92% average for which he received a prize. His hard work and excellent attitude towards his education is amazing for someone his age, always on time, always completing his homework and always cooperative. We are sure that the future is bright for Milkiyas as he continues to work hard. As a great role model for younger students we hope the children in Dembi Dollo look up to him and follow in his footsteps.